Before I came to the house I had a picture of how it would be. That picture changed a lot. I expected a smaller and dirtier place haha. I also expected to be home sick. We only booked the trip there so that I could choose how long to stay after I got there. I turned out to stay as long as I could at that point. And I wasn’t home sick at all. I’m the kind of person who likes to be alone but I had my own room and it kinda felt like home so it was all good! I made a post introducing the house two days ago, it can be found here: http://maddelisk.blogspot.se/2013/07/the-millenium-house.html. If you have any questions feel free to ask them and I'll try to answer! Anyway, usually we went to the store to buy nutella and other stuff almost every day. We went out to eat maybe every second day, usually a few of us together. The other days we made food ourselves or heated up some ready-cooked food. Sometimes people working in the house made food for us. If I got to change one thing about the house I’d want someone to make food every day! We had a person who bought food for us and we had the chance to tell if we wanted something special so it was still pretty good. The kitchen was big and everything needed to make a nice meal was there. We were just a bit too lazy and I wanted to spend more time on playing. We also had the roof where we had bbq a few times. I knew French people loved baguettes but they really do eat it with everything! And a lot of it! Some days the kitchen was a mess tho, we had a cleaning lady but she was not there every day. Luckily I had the nutella! So how much nutella did I actually eat during the stay in the house? It was about 4 kg (that is about 0.2 kg per day). People keep asking why I prefer the small jars when the big ones are more cost efficient. The answer is simple. Who wants a dirty spoon? Actually they didn’t have any long spoons in the house so eating the last of the one big jar I bought was a mess! To be honest there is not a big difference between being a girl and a guy in a gaming house. It's all about playing anyway and we spend most of the time in front of the computers practicing. Due to the cultural differences I felt like a princess tho. With the guys carrying my bags, opening doors etc. Like really, in France it was impossible to hold a door for a guy. They just refuse to walk before you anyway. However I think as a girl you get a bit more attention and people might act a bit more… sweet. I don’t think Diestar braided any of the guys hair for example but what do I know? Some people also seemed to be scared of me. Not sure if it was because I am a girl or because of my muscles, maybe a combination. I do hate smoke and to prevent the smoke from entering the house I put up a note on the door to the roof telling people to close it while smoking. And sometimes someone forgot and I obviously got crazy mad and they scared as little girls. I wasn’t the only girl in a house, which was nice. A few others were there working with the webpage and marketing or visiting their boyfriends. The Millenium house is different from many other team houses since there are so many people working there too. To me that was a really good thing. It makes communication easier and there are always people around you that can help if you have any issues, want to make a video, want some graphics, new t-shirts, ye basically anything. When I played from the house I used two monitors but had some issues with one of them and right the second I told them they came with a brand new one. Or when I tried Diestars mouse mat and fell in love with it I asked to get one of my own and they made it happen right away. It was the Corsair MM600. And since I’m not obligated to use sponsor gear you can trust me on this one, it’s really good! Like I stated earlier I stayed in a lot but we were out a few times. Taking walks, running, eating at nice places... But I came there to play, and that’s what I did. I'd say Millenium is like a family. And I'm really happy to be a part of it. I wish I knew french tho, I'll try to learn some! 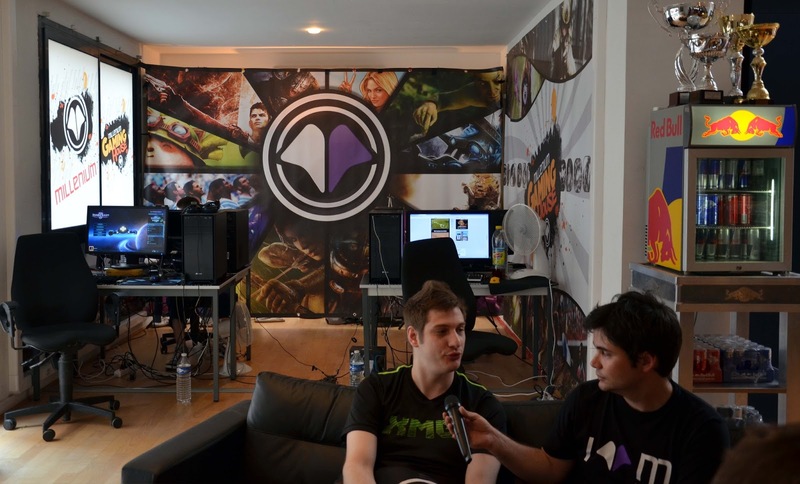 And last but not least I want to thank Millenium for giving me the opportunity to practice from the house. I hope I can come back soon! And thanks to everyone in the house for making my stay such a pleasure! As you might know I stayed at the Millenium house for a few weeks this summer. This blog post is just to introduce the house. In two days I will be back with another post about my experience in the house. The first thing you should know is that Millenium is a lot more than a team. There are about 20 people working fulltime in the house every day, working with marketing, web TV, making videos, new for the webpage etc. 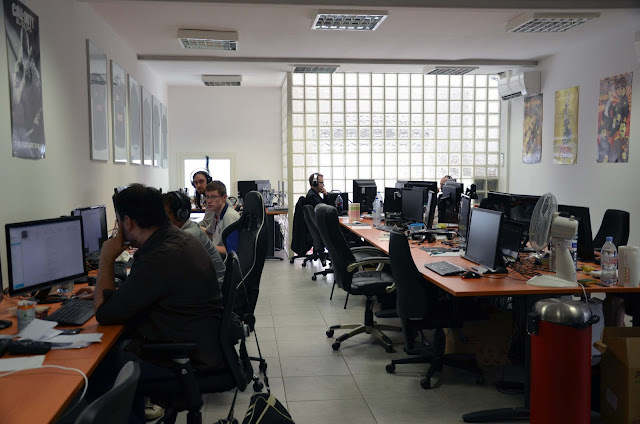 And usually there are about 15 players staying there, not just StarCraft 2 but also CoD, LoL etc. The house is located in Marseille, France. On the first floor there is a big office from where lots of people are working. There are also two studios for the web TV, laundry machine and a meeting room. Diestar and Dayshi playing, LoL team in the background. The big kitchen is also located on the second floor. There is no chef in the house but sometimes there are nice people making food for us. Other days we make it alone or just eat outside. There are lots of restaurants close to the house. This is where tournaments are held at the Millenium house. 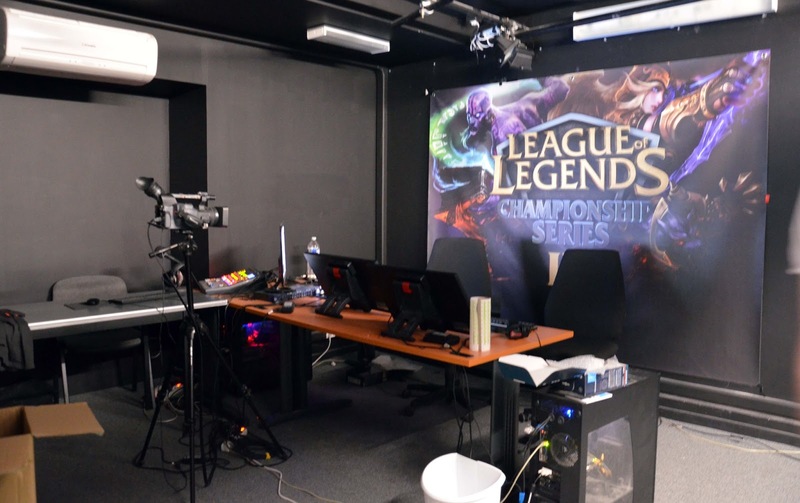 The picture is from the French Championship. The second floor is not just for players tho. There are other people working from here too. There is also a third studio on this floor, I never got a picture of it tho. And a sofa to relax/sleep in :D ONE time we used it to watch GSL together. 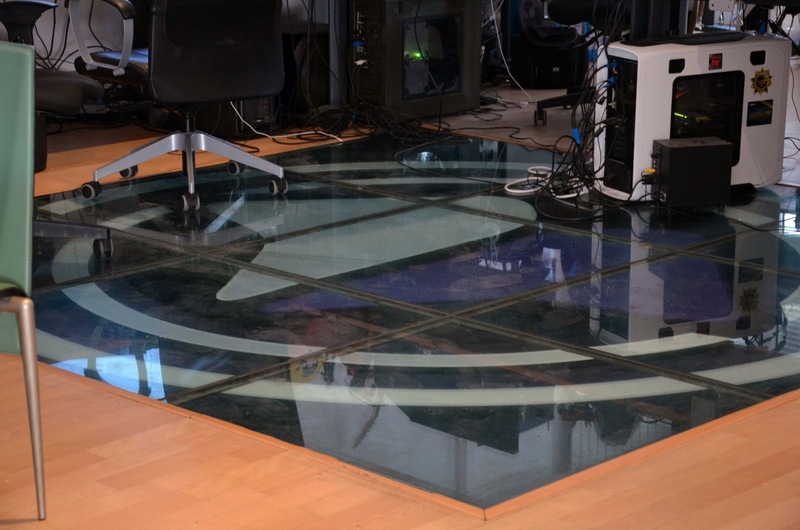 And a Millenium floor :) We use it for dancing games! The third floor is where most of the players are sleeping. But since we are so many Millenium also have an appartment really close for the rest of the players and streamers. I decided not to take pictures from inside the rooms. I think you can guess why! We also have a nice bathtub, some showers and a lot of toilets in the house (if that wasn't obvious). I'll be back in two days to tell you about how it was to live in the house, how much we practiced and how we spent the time when we didn't practice.